The Senate in the U.S state of Virginia has passed legislation permitting the local production of cannabidiol and THC-A; both sourced from cannabis. The Bill (SB701) was an important one. 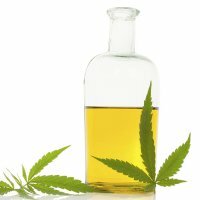 While the passing of legislation last year saw epilepsy patients and their caregivers provided an affirmative defense for possessing THC-A and cannabidiol (CBD); there was no way for this group to procure the oils legally in the state. This has meant patients have had to source oils from other states that permit out-of-state purchases, but then they were faced with the issue that bringing “marijuana” across the Virginia state line is illegal. It’s been a bit of a legal headache for all involved. Both of these oils are non-intoxicating. Tetrahydrocannabinolic acid (THC-A) is a precursor to the intoxicating compound tetrahydrocannabinol (THC). THC is created through the heating of THC-A. The Bill authorizes an appropriately licensed pharmaceutical processor under the supervision of a licensed pharmacist to manufacture and provide cannabidiol and THC-A oil within the state, and provides criminal liability protection for the processor. Under the legislation, a doctor that provides a cannabidiol certification for a patient – and the patient or patient’s caregiver – must also register with the Board of Pharmacy. Patron of the Bill was Dave Marsden and the voting result was 37-Y, 2-N. The full text and history of SB701’s passage through the Senate can be viewed here. On a related note, the Virginia state House committee passed a bill in January to authorize commercial cultivation and production of industrial hemp in the state. While CBD is often extracted from medical grade cannabis plants, it can also be sourced from industrial hemp. Virginia’s fortunes were once closely tied to hemp. In fact, at one stage, farmers were compelled to grow it.